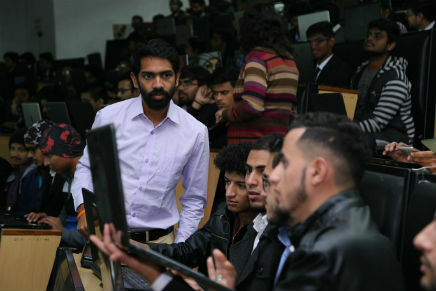 Jalandhar: Educating students on the future of voice technology, Lovely Professional University (LPU) has become India’s first university to conduct ‘Amazon Alexa Workshop’. With training programs on cloud computing, machine learning, artificial intelligence and voice assistants, LPU is providing its students a peek into the future. For this, LPU hosted Amazon to conduct a workshop on developing voice-based services, where hundreds of LPU students participated. The workshop included hands on session on developing skills for Alexa – a voice service developed by Amazon. Alexa is the brain behind Echo-devices. These voice-controlled speakers are capable of voice interactions, music playback, making to-do lists, setting alarms, streaming podcasts, playing audio-books, and providing weather, traffic, and other real-time information, such as news. Alexa can also control smart devices for home automation. Users can extend Alexa’s capabilities by installing “skills”, which can be additional functionality developed by third-party vendors such as food ordering, radio, cab booking, recipes and more. Alexa in India currently has over 12,000 skills across various categories.